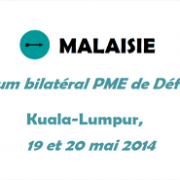 Industrial defense cooperation between France and Malaysia is one of the busiest in Asia for us. The Department for International Development of DGA (DGA / DI) and the Malaysian Defence Industry Division are responsible for such cooperation and report to the High Defence Committee set up between the two Ministries. In relation with the actions agreed at the last plenary meeting of the High Committee in December 2013 and taking into account the success of the bilateral defence SMEs forum of January 2013, the departments of French and Malaysian defense organize a new bilateral seminar in May 2014 in Kuala Lumpur. Magellium was present in April at IGRSM 2014 (www.igrsm.com/igrsm2014) in Kuala Lumpur – Malaysia. The main goal of this conference is to disseminate knowledge and to share expertise and experiences in geospatial sciences on all aspect of applications. It also aims to build linkage between local and international professionals in this field with industries. The theme for this conference is “Geospatial Innovation for Nation Building”. In the frame of the conference, Magellium has exposed MagHD a new approach to multi-dimensional geodata storage, analysis, display and exploitation. 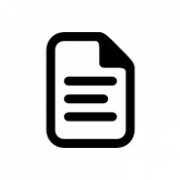 To read the publication http://bit.ly/1AauNeu. Magellium was present at JACIE 2014 conferences (calval.cr.usgs.gov/jacie/jacie-2014) in Louisville Kentucky last 25-28 March. The growing number of commercial sources for remotely sensed data offers users more choices than ever before. The key to using data from these new sources is understanding their characteristics and capabilities, and the quality of the data they produce. In the frame of the conference, Magellium has presented the development of Coordinated Quality Control program of ESA (CQC). Read the presentation at http://bit.ly/Y0Dvya.